Today I’m cross-posting over at YA Outside the Lines and talking about The Truth About Sleep Away Camp. There may be 80’s permed hair for your amusement! Just a reminder, you still have time to enter my write a review contest! *I’ll be at Oblong Books and Musics HVYAS Birthday Party!! More info HERE! *Children’s Writer or Illustrator and located in the Hudson Valley? Join us for our local SCBWI Shop Talk Meeting in August. For more information, feel free to contact me directly. *I’ll also be faculty at my very first conference, which is also the very same conference I first attended as a newbie. Yea, pretty WOW! Registration is still open for the SCBWI Eastern NY Conference on September 21-22nd. Lots of amazing speakers and opportunities. *October 17th I’m thrilled to be a part of the Ulster BOCES FALL INTO BOOKS CHILDREN’S & TEEN LITERATURE CONFERENCE in Kingston NY. I adore hanging out with librarians!!! 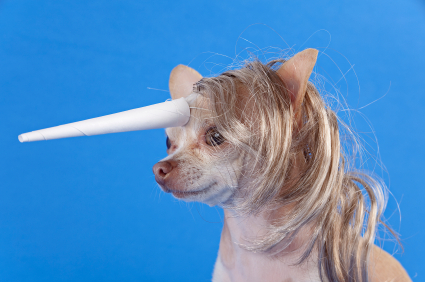 And good news…finding me is not nearly as hard as finding a little unidog. So, come hang out and we’ll squee and hug and talk about books and maybe eat some chocolate. I usually have some stored in a bag or pocket somewhere.